Holiday Entertaining in Seven Simple Steps? Check! Whether you're planning a festive cocktail gathering for friends or a full-scale holiday weekend for the whole family this year, you've got this. Once you've checked off these top-line To Dos, you're good to go…or rather, stay, and enjoy the holidays as much as your guests will. Having some sense of scale helps you plan all kinds of holiday gatherings accordingly, and then relax. Even if last-minute add-ons appear, you're ready to host whoever shows. Just know your boundaries and keep your invite list in your comfort zone. If you can't handle a crowd, maybe an "Open House" is not for you. 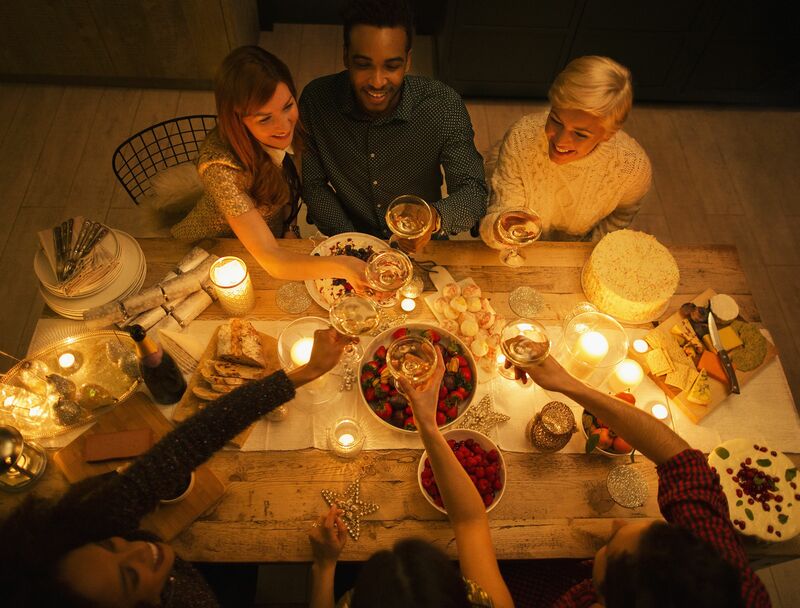 If it's a sit-down dinner, make sure your guests know it's invite-only and what time they should plan to arrive. Creating a homey and welcoming environment means cultivating a sense of familiarity, whether or not you're actually hosting family. Even if your guest list is limited to friends and colleagues, following family traditions or bringing out family heirlooms is a great way to share some of your own personal history, opening your heart as well as your home. 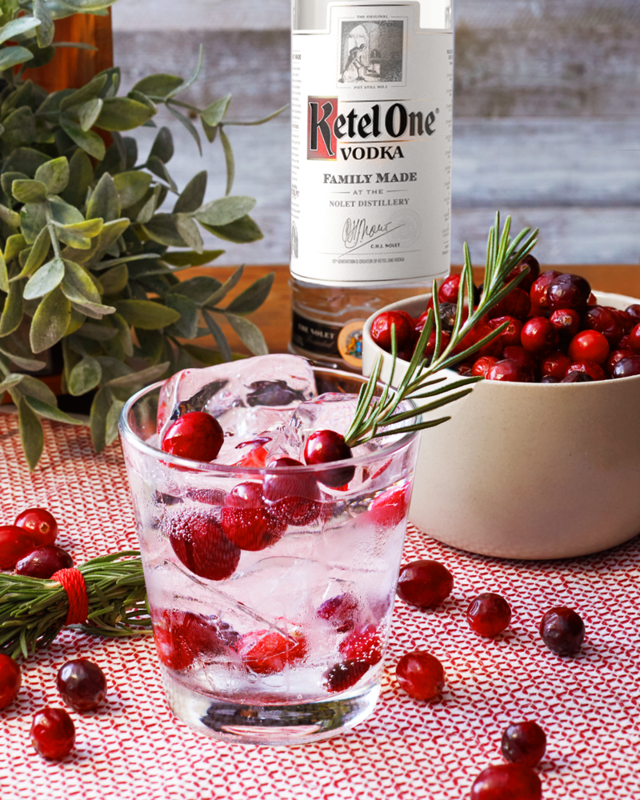 Try including family recipes on the menu and using family-oriented ingredients, like Ketel One® family-made vodka. From the moment your guests arrive, they should feel welcome and relaxed. Make sure your home not only looks great, but also smells great (maybe hang a rosemary or fragrant fir wreath by the front door) and choose festive tabletop linens and decorative accents that not only speak to the holidays but say something about you and what you value most. Whether you're serving finger food or a full-on dinner, create a menu that balances the sweet with the savory, the sumptuous and indulgent with the light and healthful. Choose recipes that substitute yogurt for sour cream, veggie or nut protein for meat, and combine the light and crunchy with the rich and creamy. Remember that many sweet recipes actually taste better with less sugar. Serving flavorful seasonal cocktails without added sugar also helps balance out the high-calorie sweets of the season. Visit your local farmer's market or green grocer and choose the freshest local seasonal ingredients for everything from dips to dessert. Fresh veggies, fruit, and herbs can be used to garnish and enhance cocktails as well as your favorite dishes. Plan recipes around what looks freshest and is available in organic varieties. Look for non-GMO ingredients for whatever you serve, including your cocktails. 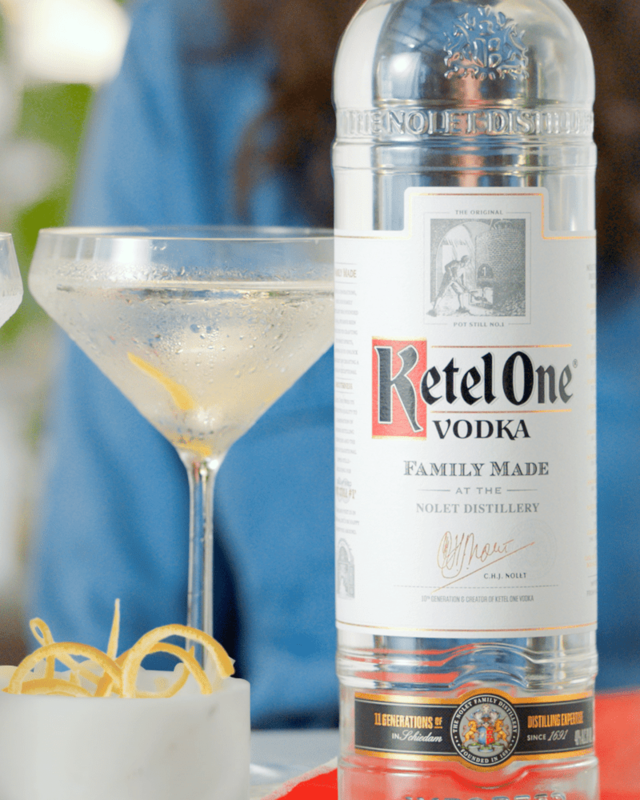 Ketel One® Vodka is carefully crafted using 100% non-GMO grain and so makes the perfect accompaniment to fresh, organic garnishes. Though the way any event unfolds depends on the mood and mix of guests, you can create the atmosphere that you want and guests will likely follow. Whether you have a piano or just a curated play list, music can always be a focus, or consider a theme like game night. Remember that moderate drinking makes for a better experience all around. Try to assess each guest's condition before they leave and be sure to arrange rides or car service if needed for those who may have over-indulged in the holiday spirit.